Served at Norfolk Navy Yard 1878. For gallant and meritorious service at the attack upon Fort Fisher January 13-15, 1865. 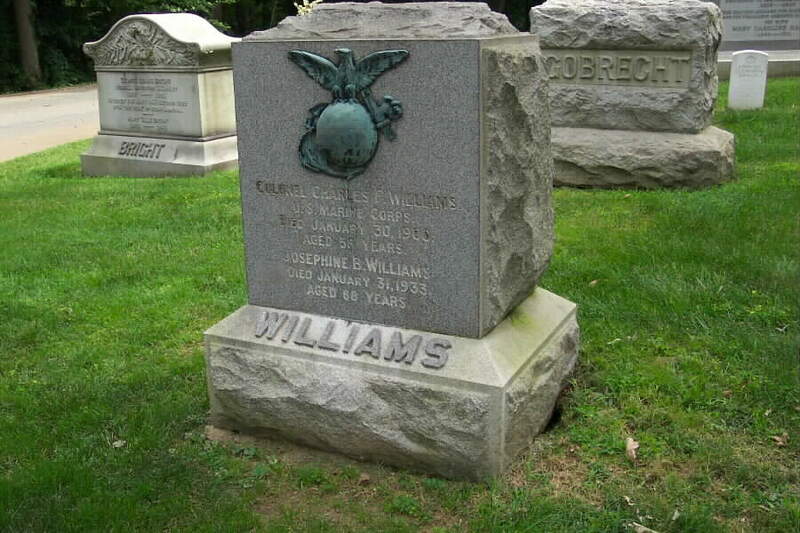 He was a family friend of Navy Secretary Welles. In David M. Sullivan´s "The USMC in the Civil War - The Second Year" (1997) on page 140 you will find a very fine picture of Williams. Research into the Colonel's career continues. Any information would be appreciated. Section 1, Arlington National Cemetery. 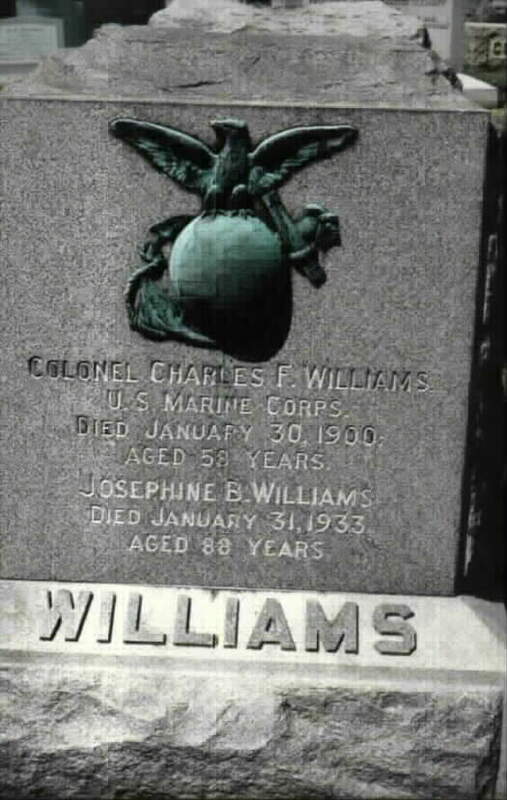 His wife, Josephine B. Williams, who died on 31 January 1933 at the age of 88, is buried with him.